I’m soooooo excited that Riley Children’s Cancer Center Prom is here once again. It’s the single most rewarding event I do all year. This year’s theme will be Alice In Wonderland. Check out the link below to see video of last year’s prom. 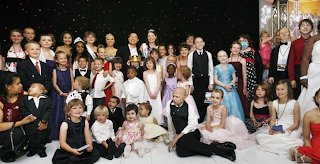 This entry was posted in Riley Cancer Hospital Prom on May 4, 2011 by Setting the Mood.